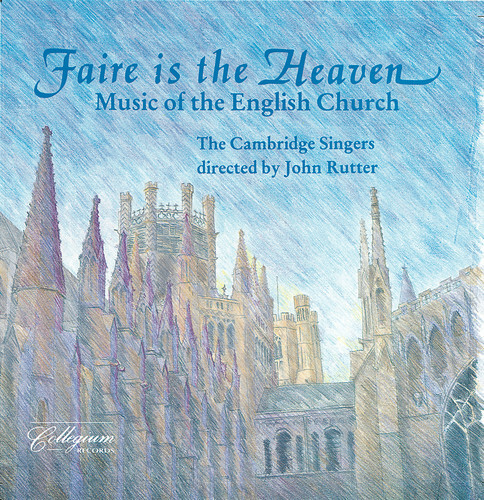 The 28 mixed young voices of the Cambridge Singers bring us a remastered recording (originally recorded in 1982) of unaccompanied English church music from the 16th to 20th centuries, designed to be sung in a building with acoustics that allow its characteristic sonority to be heard in its full splendor-in this case the Lady Chapel of Ely Cathedral, built in 1350. There are 23 motets and anthems here, from 4 periods in history, "Music of the Latin Rite," "Music of the Reformation," "Music of the Restoration" and "The Anglican Revival and the 20th century." Extensive, complete liner notes. Acclaimed director John Rutter was not sure if the marvelous sound of the Singers in the Chapel could be reproduced, but was gratified to find that it could. Marvelous soaring, angelic sacred music from an unequaled, ancient acoustic!